From stocking fillers to indulgent gifts, Mailbox has a fabulous selection of gifts for everyone this Christmas – and it’s just a five minute walk away from New Street Station. Don’t worry if you haven’t sorted out all of your shopping yet. You will find plenty of inspiration in the luxury shopping destination’s amazing array of stores. Surprise the lady in your life with a little luxury. 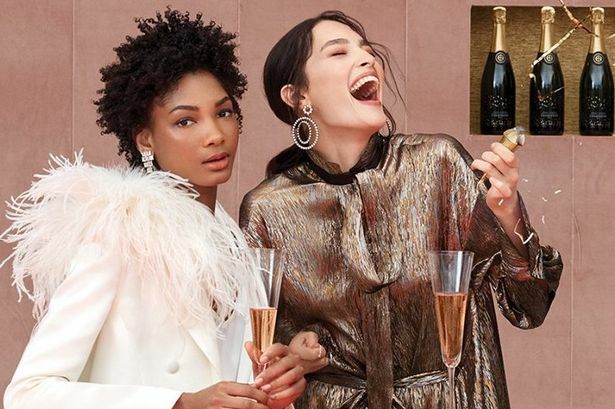 From sophisticated statement coats to indulgent bubbles, there’s plenty to excite. Wine and Chocolate Hamper, £50, Harvey Nichols / Leopard Boots, £159, Daniel Footwear / Leopard Collar Coat, £350, L.K. Bennett / Black Crossbody Bag, £510, Emporio Armarni / Gucci Marmont Bag, £1,160, Harvey Nichols. Gift style and substance this winter with these seasonal pieces and quirky accessories. Effortless accessories and modern tech make perfect stocking fillers. Whether Scandi minimal or bright and bold, these interior accessories can work in any room making sure they won’t go unnoticed! A post-Christmas, new year beauty treat is the perfect experience this season. From an at-home pamper to a memorable spa experience treatment, there is something for all.